2012 Audi A7 Premium quattro quattro Havanna Black Metallic Rear Back Up Camera, Navigation/GPS, Blue tooth/ Hands Free Calling!, Sunroof/Moonroof, USB/AUX, CLEAN CAR FAX NO ACCIDENTS, BERTERA NISSAN TRADE IN, SERVICE RECORDS AVAILABLE, LEATHER, ALL WHEEL DRIVE, 19`` x 8.5`` 10-Spoke Alloy Wheels, 7`` Color Driver Information System, ABS brakes, AM/FM radio: SIRIUS, Audi Connect, Compass, Electronic Stability Control, Exterior Mirror w/Memory, Front & Rear Acoustic Parking Sensors, Front dual zone A/C, HD Radio, Heated door mirrors, Heated front seats, Heated Power Front Bucket Seats, Illuminated entry, Low tire pressure warning, MMI Touch & Jukebox, Navigation System, Power Liftgate, Power moonroof, Premium Plus Package, Radio: MMI Navigation Plus, Real Time Traffic, Remote keyless entry, Traction control. * 2012 KBB.com Total Cost of Ownership Awards FOR MORE INFORMATION PLEASE CONTACT OUR INTERNET DEPT 1-844-323-7332. Hello, I would like more information about the 2012 Audi A7, stock# A5771A. Hello, I would like to see more pictures of the 2012 Audi A7, stock# A5771A. 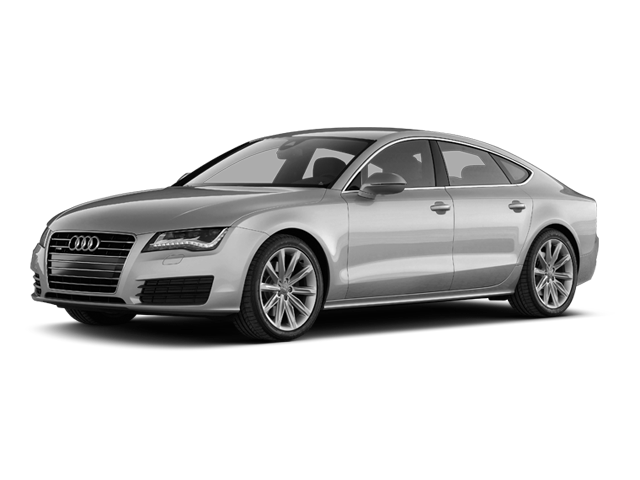 Ready to drive this 2012 Audi A7? Let us know below when you are coming in, and we'll get it ready for you.